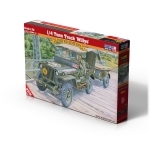 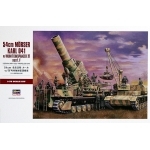 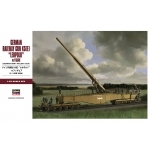 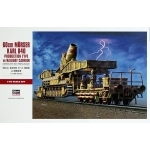 1:72 M24 Chaffee, M3A1 Half Track and 1/4 ton 4x4 Utility Truck 'JGSDF/NPR' Kit Features: ..
1:72 Willys Jeep & Trailer The MisterCraft range of plastic model kits offer..
1:72 'Rommel's Afrika Korps' Triple Pack of Kits A complete Krieg Look out, Egypt! 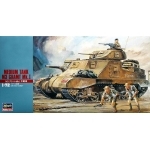 This ..
1:72 Nakajima Ki-43-II Hayabusa & Ki44-II Shoki 'Akeno Flying School' with TX40 Fuel Truck ..
1:72 Churchill Mk.1-II and Daimler Mk.II 'Dieppe Raid' Combo Kit Waves pull the oil back out ..
1:72 F-16A Block 15 - Gunsmoke 89 The MisterCraft range of plastic model kits offers th..
1:72 German Railway Gun K5(E) Leopold with Figures Hitler's fascination with massive armament..
German Anti Aircraft Tank - Ostwind The Flakpanzer IV "Ostwind" was a German self-propelled a..
German Anti Aircraft Tank - Wirbelwind The Flakpanzer IV "Wirbelwind" (Whirlwind in English) ..
1:72 German Tank Hunter Jagdpanzer IV The Jagdpanzer IV, Sd.Kfz. 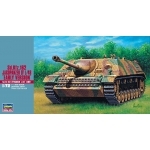 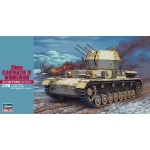 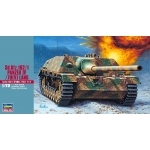 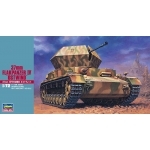 162, was a German tank destr..
1:72 German Tank Hunter The Jagdpanzer IV, Sd.Kfz. 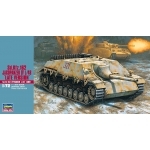 162, was a German tank destroyer based on ..
1:72 SDKFZ162 Jagdpanzer IV Late Version Building on the good results of the mating of ..
Sd.Kfz. 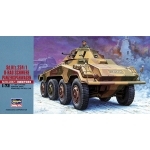 234/2 8-RAD Schere Panzer The Sd.Kfz. 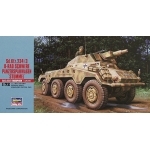 234 (Sonderkraftfahrzeug 234, or Special Purpos..
1:72 SD KFZ 234/1 8 Rad Schwere Panzerspahwagen The Sd.Kfz. 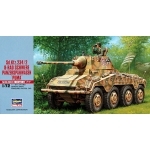 234 (Sonderkraftfahrzeug 234, or ..
1:72 SD.KFZ 234/3 8 Rad Schwere Panzerspahwagen Stummel The Sd.Kfz. 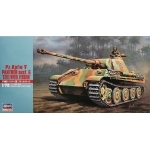 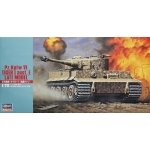 234 (Sonderkraftfahrzeug ..
1:72 Tiger I AUSF E 'Hybrid' Tiger I was a German heavy tank of World War II deployed from 19..
1:72 54cm Morser Karl 041 with Munitionspanzer In February 1941, discussions commenced concer..
1:72 Mosser 'Karl' with Railway Carriage and Track In March 1936 Rheinmetall made a proposal ..
1:72 US Tank Lee Mk.I Medium Tank The M3 General Lee tank was developed in the early part of ..
Pz.Kpfw VI Tiger I Ausf.E Tiger I was a German heavy tank of World War II deployed from 1942 ..
1:72 M4 (A3E8) Sherman M4 (A3E8) Sherman tank was the most widely used allied tank of WWII. 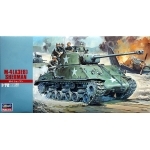 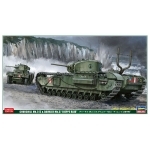 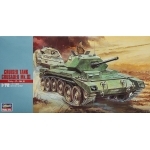 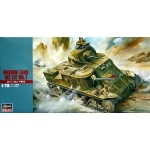 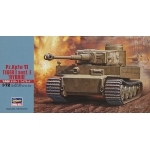 T..
Crusader Mk3 - Cruiser Tank The Tank, Cruiser, Mk VI or A15 Crusader was one of the prim..
1:72 British Tank M3 Grant Mk.1 The Grant tank was a derivative of the M3 Lee tank and only d..
1:72 PZ.V Panther Ausf G The German Panther tank was designed in response to the appearance o..